Our Why: We believe that the arts have the power to build our city. 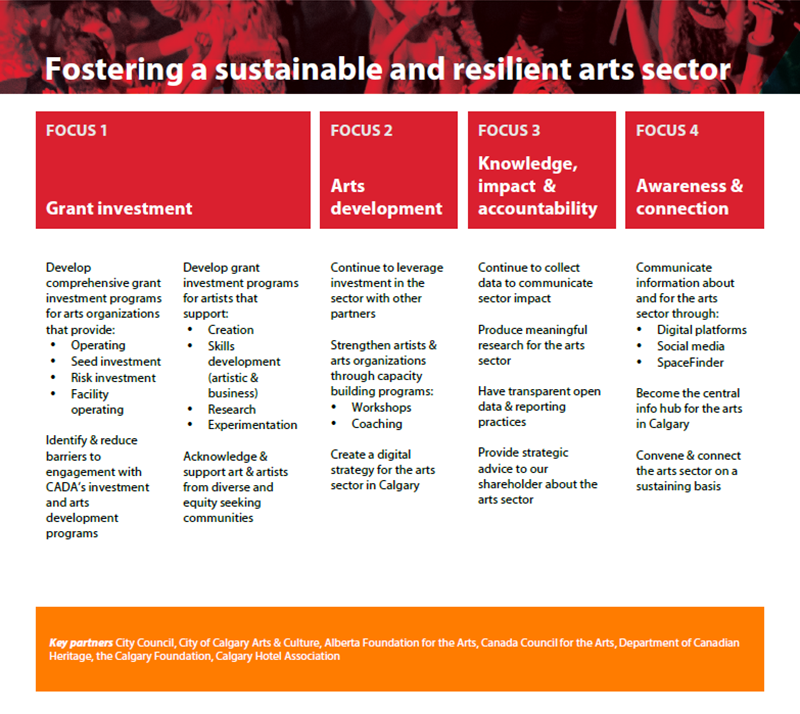 Identify and reduce barriers to engagement with Calgary Arts Development’s investment and arts development programs. Acknowledge and support art and artists from diverse and equity seeking communities. Continue to leverage investment in the sector with other partners. 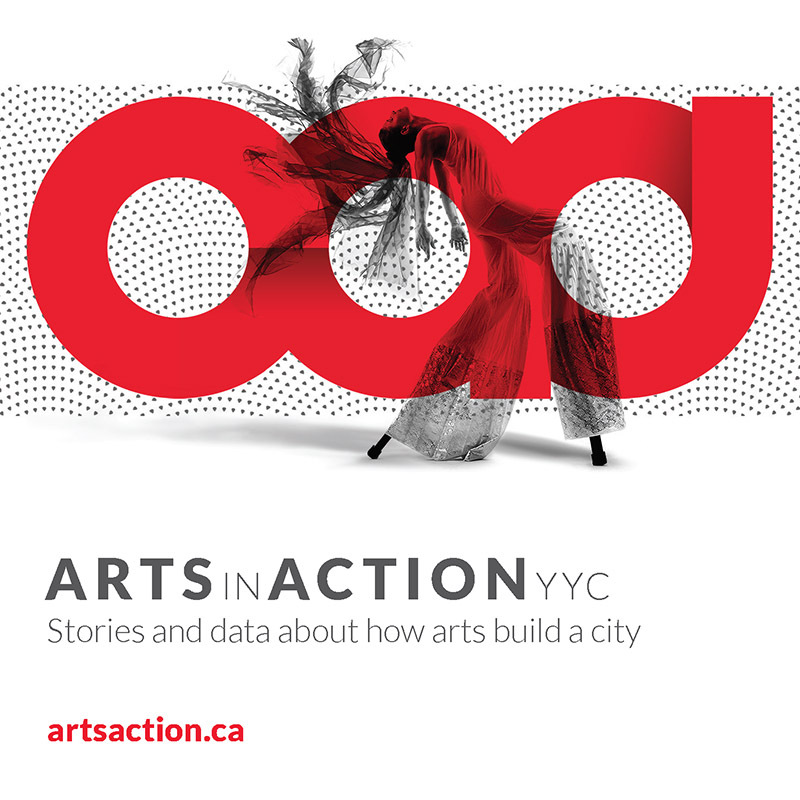 Create a digital strategy for the arts sector in Calgary. Continue to collect data to communicate sector impact. Produce meaningful research for the arts sector. Have transparent open data and reporting practices. Provide strategic advice to our shareholder about the arts sector. 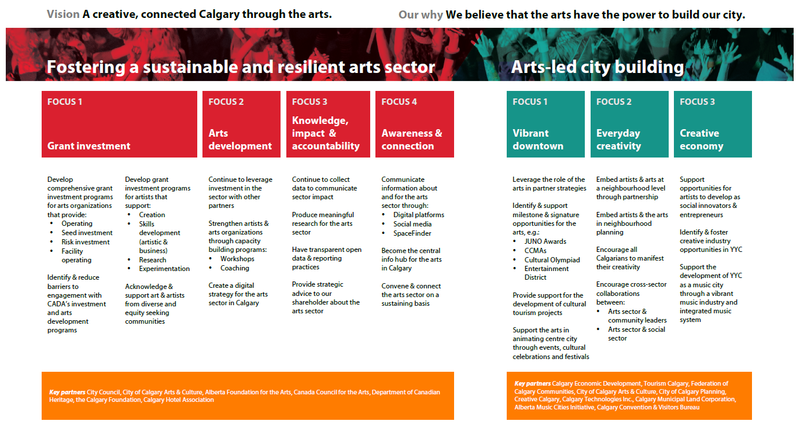 Become the central info hub for the arts in Calgary. 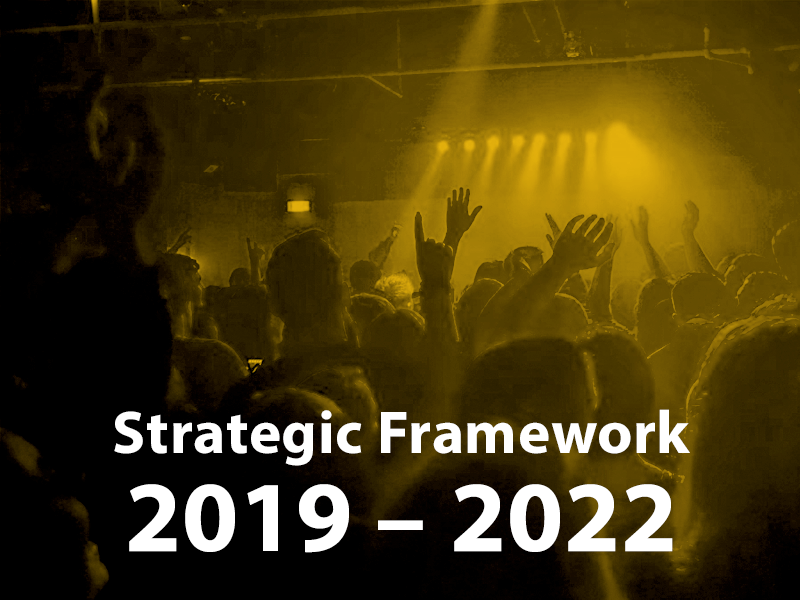 Convene and connect the arts sector on a sustaining basis. Provide support for the development of cultural tourism projects. Support the arts in animating centre city through events, cultural celebrations and festivals. Embed artists and arts at a neighbourhood level through partnership. Embed artists and the arts in neighbourhood planning. Encourage all Calgarians to manifest their creativity. Support opportunities for artists to develop as social innovators and entrepreneurs. Identify and foster creative industry opportunities in YYC. 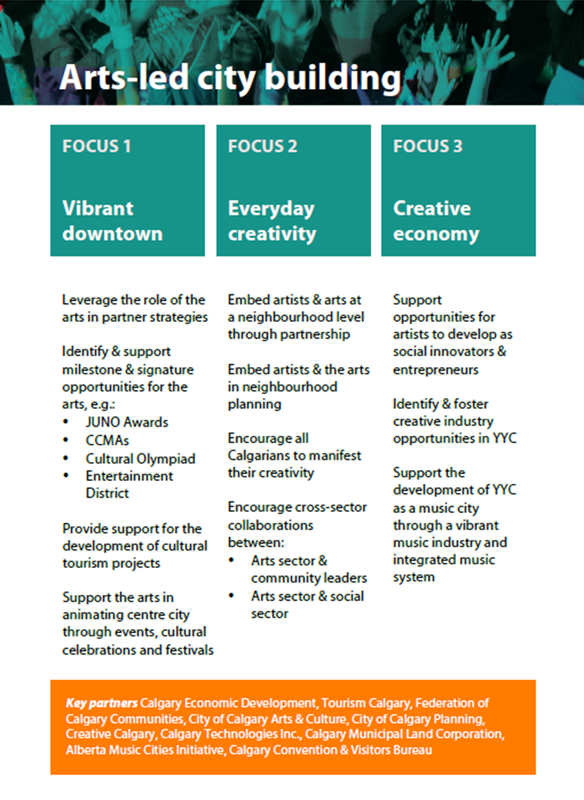 Support the development of YYC as a music city through a vibrant music industry and integrated music system.